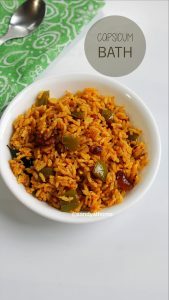 Capsicum bath is a very flavorful and delicious variety rice prepared by tossing cooked rice in spicy and masala flavored capsicum mixture. 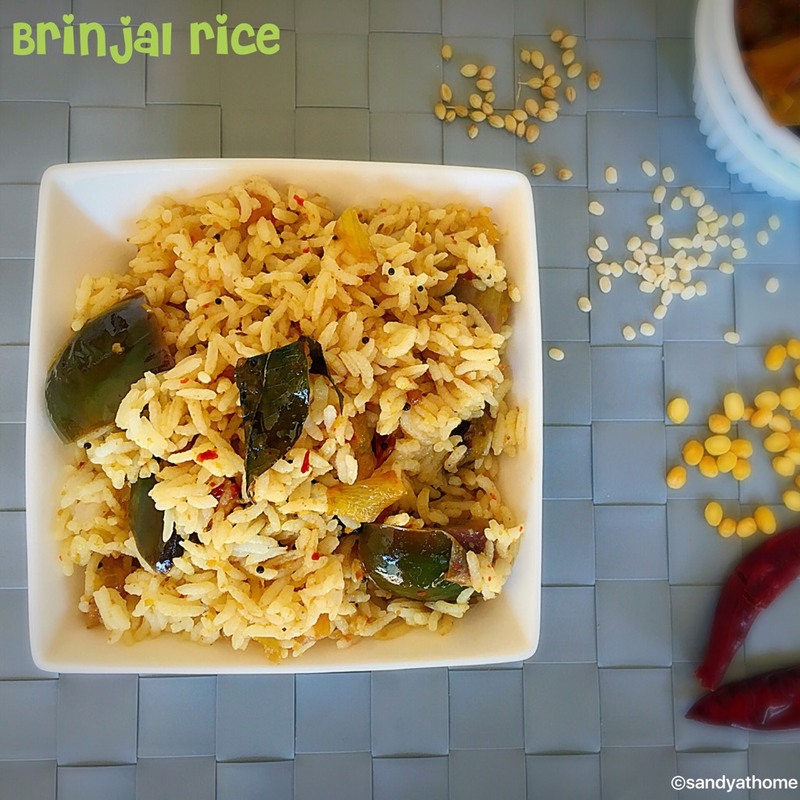 I prepared this recipe with regular vangi bath powder, yes I just replaced brinjal with capsicum and it turned out more flavorful and yummy dish. Sounds interesting right! 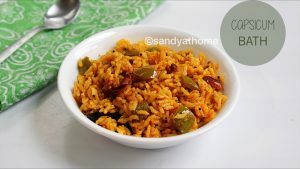 This recipe is a perfect lunch box recipe and also an easy lunch recipe that can be prepared in jiffy during working day. 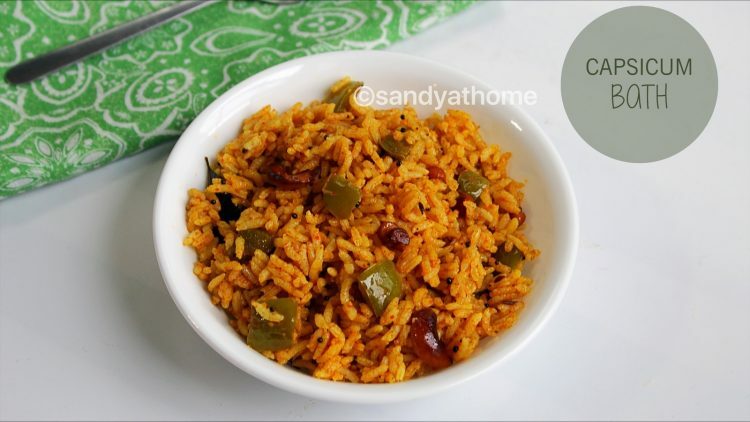 A plain yogurt, or simple onion raita or chips goes well with this rice recipe. 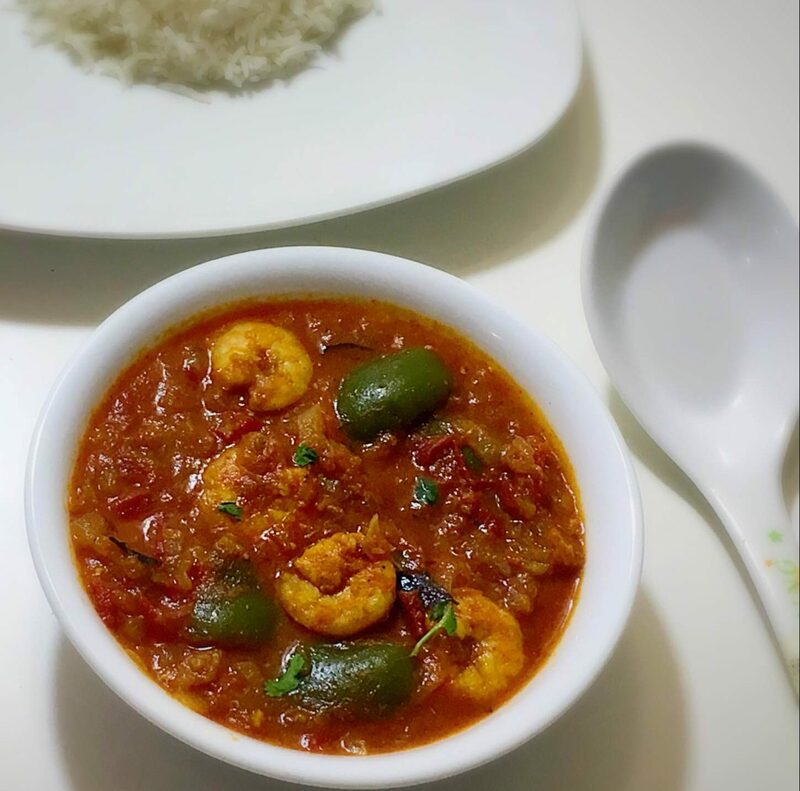 For this recipe I used store bought vangi bath powder but you can use home bought powder as well also this recipe can be prepared with basmati rice for extra flavors or with with regular rice as well. 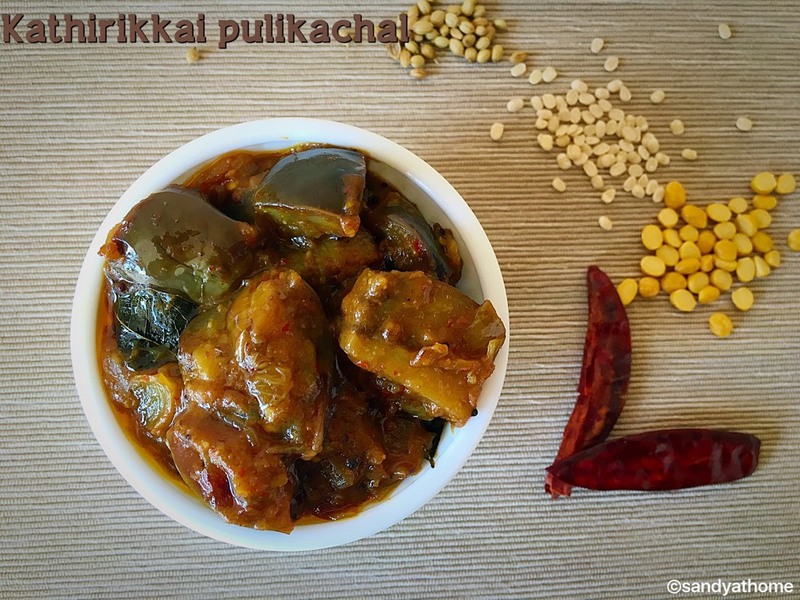 So try making this recipe next time you have capsicum at home. So let’s get to the making! Soak tamarind in ½ cup water, extract juice from it and keep it aside. 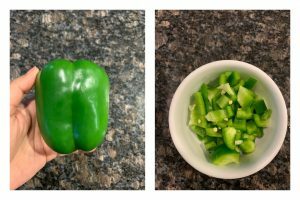 Wash and chop capsicum into cubes. 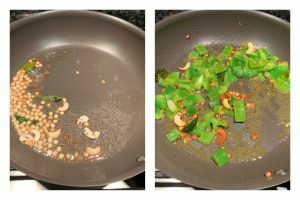 Heat oil in a pan, add mustard seeds when it splutters add cashews and chana dal, when it turns golden brown add curry leaves, when aromatic add chopped capsicum cubes and turmeric . Saute well for a minute. Now add vangi bath powder and salt. Saute fore few seconds . Now add tamarind juice and mix well. Allow the mixture to boil well. 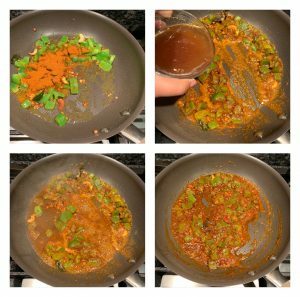 After 2 to 3 minutes when oil separated in the sides check for salt and the add the cooked rice and mix well until combined. Serve it hot with raita, plain curd or chips of your choice. Now add vangi bath powder and salt. Saute fore few seconds . Now add tamarind juice and mix well. Allow the mixture to boil well. 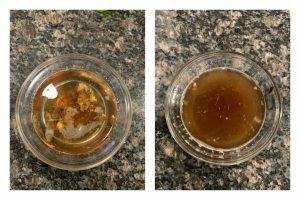 After 2 to 3 minutes when oil separated in the sides check for salt. Don’t overcook the mixture as want the crunchiness from capsicum here. 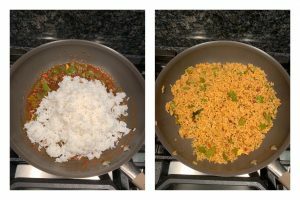 Now add the cooked rice and mix well until combined. Serve it hot with raita, plain curd or chips of your choice.